Poe's "The Murders in the Rue Morgue" -- The First Detective Story Ever! 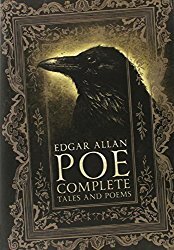 --The familiar words and phrases above were used first by Poe in this story. Note: The quotes in this article are from "The Murders in the Rue Morgue." See Tales of Edgar Allan Poe. The English language has changed since this story was written, so if some grammar and punctuation looks strange to you, be aware that it was following the standard of the day. When he wrote "The Murders in the Rue Morgue," Edgar Allan Poe created the world's first detective story proper, with all the elements neatly in place. "The Murders in the Rue Morgue" begins with a short essay describing mental analysis and the person who employs it. Poe writes, "He derives pleasure from even the most trivial occupations bringing his talent into play. He is fond of enigmas, of conundrums, of hieroglyphics; exhibiting in his solutions of each a degree of acumen which appears to the ordinary apprehension præternatural. His results, brought about by the very soul and essence of method, have, in truth, the whole air of intuition." Poe states, "I am not now writing a treatise, but simply prefacing a somewhat peculiar narrative by observations very much at random." The essay segues into the narrative of a strange and morbid case. We meet the narrator, who remains unnamed throughout the story. He describes his first meeting with the eccentric "Chevalier C. Auguste Dupin" by "...the accident of our both being in search of the same very rare and very remarkable volume, brought us in closer communion... " at "...an obscure library in the Rue Montmarte". "He boasted to me, with a low chuckling laugh, that most men, in respect to himself, wore windows in their bosoms, and was wont to follow up such assertions by direct and very startling proofs of his intimate knowledge of my own. His manner at these moments was frigid and abstract; his eyes were vacant in expression; while his voice, usually a rich tenor, rose into a treble which would have sounded petulantly but for the deliberateness and entire distinctness of the enunciation. Observing him in these moods, I often dwelt meditatively upon the old philosophy of the Bi-Part Soul, and amused myself with the fancy of a double Dupin - the creative and the resolvent." The paragraph above is followed by a series of depositions from various witnesses. We are present with Dupin's narrator friend throughout Dupin's investigation. But then the narrator tells us, "It was his [Dupin's] humor, now to decline all conversation on the subject of the murder, until about noon the next day. He then asked me, suddenly, if I had observed any thing peculiar at the scene of the atrocity." All the clues are presented to the reader, as is Dupin's discussion of the case with his narrator. Dupin even challenges his narrator to attempt to reason from the clues. CAUGHT - In the Bois de Boulogne, early in the morning of the - inst., (the morning of the murder,) a very large, tawny Ourang-Outang of the Bornese species. The owner, (who is ascertained to be a sailor, belonging to a Maltese vessel,) may have the animal again, upon identifying it satisfactorily, and paying a few charges arising from its capture and keeping. Call at No. ---- , Rue ----, Faubourg St. Germain - au troisiême." Dupin gives two pistols to his narrator and warns that the man he expects may be dangerous "Be ready," said Dupin, "with your pistols, but neither use them nor show them until at a signal from myself." And so begins the interview between the detective and his suspect. When comparing Poe with those who came after him (for example, Sir Arthur Conan Doyle and his stories about Sherlock Holmes) one can easily see Poe's profound influence. That, however, remains the subject for another article. All clues are shown to the reader well before the denouement, allowing you to reason and solve the mystery before the detective explains his conclusions. In Murder for Pleasure, Howard Haycraft categorizes "The Murders in the Rue Morgue" as a "physical" story because after you've read it, the one scene which stays in your mind forever is a physical scene. Haycraft challenges us to think of "The Murders in the Rue Morgue." If you read it as a child, and haven't picked it up for thirty years, the chances are enormous that the one thing comes to mind it is a physical image. Haycraft is right, of course; but this was only the beginning. Virtually all of the important elements that later writers of detective stories were to use were initially developed by Poe. You can read "The Murders in the Rue Morgue" for free in the Reading Room.